Want a way to look professional with a small wardrobe? Invest in a blazer! These blazer outfits are perfect for meetings, parties or anytime you want to look put-together. When I first graduated college, I knew I needed a blazer but I never found one I liked. Every blazer I tried on reminded me of Melanie Griffith from Working Girl (go see it and tell me you’re not singing “Let the River Run” everywhere you go). Each jacket made me look like a linebacker — stiff shoulder pads, boxy fit. I thought that my body was not meant to fit a blazer. And of course, I was wrong. Blazers are gorgeous! Correction. A basic black suit that makes you look like an undertaker? Not for us. 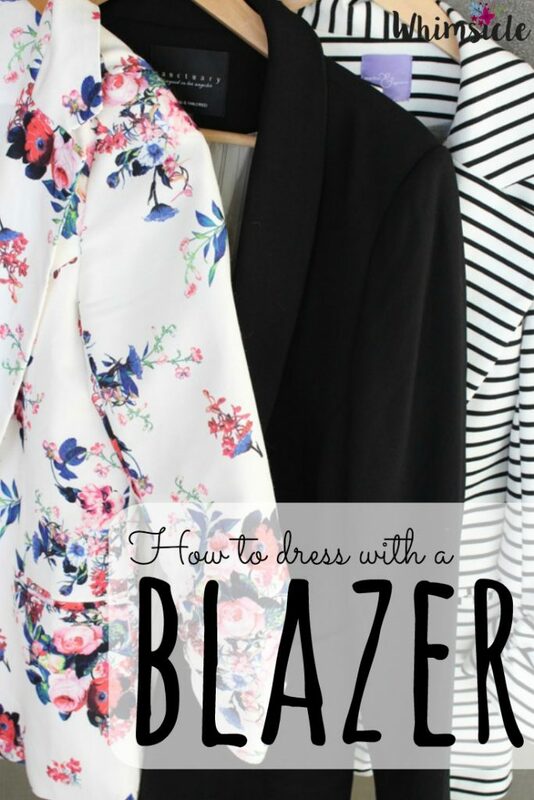 Here are three blazer outfits along with three gorgeous blazers that you can think of next time you want to update your wardrobe.